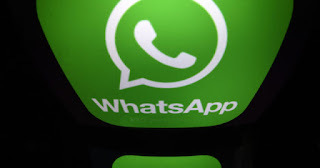 WhatsApp is currently the most widely used instant messaging application worldwide, and many of its users are these days concerned about the problems that Facebook has suffered, all related to the security of their users' data. The concern is given that Facebook is the owner of WhatsApp with what the popular application could be suffering the same problems. 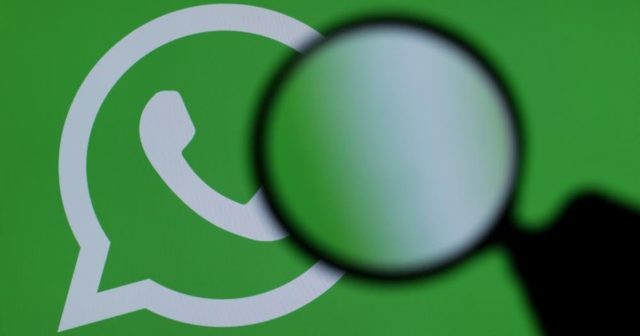 However, it seems that we should not worry, at least for now, and WhatsApp has published a new section of frequently asked questions, among which ensures that data and communications are completely private . We assumed that this was already happening, as we assumed with many other applications, but now it seems to want to reinforce this idea in front of its millions of users around the world. They have also wanted to ensure, once again, that; " All WhatsApp messages and calls are secured with end-to-end encryption . This ensures that only you and the person you are communicating with can read your messages or listen to your calls, and nobody among them, not even WhatsApp. " It calls very much the attention that the new information appeared in the section of frequent questions has appeared exactly, at the height of the crisis of Facebook. Maybe with this they want to unlink one case from the other so as not to be splashed , even though Facebook owns the popular instant messaging application. At the moment it seems that everyone who uses WhatsApp daily can be calm and not fear for our data, since the two applications are totally different, and it seems, at least for now that the instant messaging application has opted to strengthen security of our data, to differentiate from Faxcebook, which even one of the founders of Apple attacks , and many others who are having problems related to these issues. 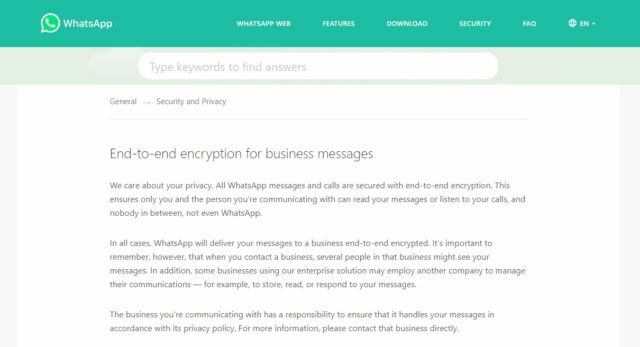 Do you feel that your data is safe every time you use WhatsApp?